Would you know how to resuscitate your child if they drowned? According to a new survey, more than half of Australian parents with young kids wouldn’t know how to do CPR in a water emergency. Luckily help is now at hand with the launch of the new Westpac Rescue Rashie. The recent Water Safety Survey from Westpac revealed that while many Australian parents are aware of the importance of not waiting for paramedics to arrive in the event of a child drowning (92%), there is an alarming lack of awareness about how to actually perform the correct CPR procedures on children. Two thirds of parents with children aged two to eight admitted to not knowing the correct compression to breath ratio – which is a crucial element of paediatric CPR. The results also showed that there are a lot of misconceptions about water safety too, with over a third of parents surveyed believing that if their child can swim they’re less at risk of drowning, and almost a third believing the first sign of a child drowning is splashing. Given that we live in Australia where swimming is a national past-time and many homes have backyard pools, it’s extremely concerning – especially over the summer months when most drownings occur. Children under four are apparently most at risk, making up 42% of all non-fatal drownings. According to Westpac State General Manager NSW and mother of two, Jessica Power, the idea for the Rescue Rashie was born last year after they conducted their water safety study and found that two in three Australian parents admitted they would have to search for CPR instructions on their smartphone if their child was drowning. This is of course very worrying given that when you’re at the beach or lake, you may not have your phone handy or a CPR poster up to refer to. While CPR education and training is important, in the event of an emergency there is no guarantee that a parent will be thinking clearly enough to remember what to do. This is where the innovative Rescue Rashie steps in, with its built-in CPR instructions for resuscitating a child aged two to eight. Developed in consultation with CPR Kids to ensure all CPR instructions are correct, it could be the lifesaving product you need for your children this summer. A child who receives CPR is almost five times more likely to have a good health outcome following a drowning incident. The Westpac Rescue Rashie looks and works just like a regular rash vest but features a special zip-down front that reveals clear, potentially life-saving CPR instructions for children between the ages of two and eight. 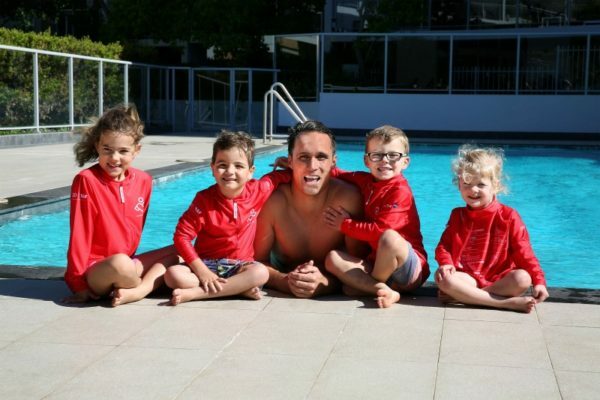 The rashies are sun-safe being UPF 50+ and are also a brightly coloured red – another great feature for helping parents locate children when swimming at the beach, in the pool or lake. Rescue Rashies are available to buy online for $35 each with proceeds going to Take Heart Australia to fund vital CPR training to increase the survival rate of Australians who suffer a sudden cardiac arrest. Shipping is Australia-wide, simply head to rescuerashie.com.au.